You may have noticed the new sidebar ad to the right. Our long-time friends at the Albertus Magnus Center for Scholastic Studies asked that we post some information about the summer program that they will be holding in Norcia, Italy from June 16th-29th. For two weeks room and board in Italy, you can't beat the price! And Norcia, the birthplace of Sts. Benedict and Scholastica, is an absolutely beautiful town. For anyone who has an interest in studying the Faith of the Church, I would wholeheartedly recommend attending the program. From June 16-29th, the St. Albert the Great Center for Scholastic Studies will hold a summer session in Norcia, Italy. In partnership with the Monasterro San Benedetto, this will be the third year they have held the Summer Institute. This summer's program is focussing on St. Paul's Epistle to the Romans. With the sacred text as our primary source, we will also follow along the interpretive tradition of the Church by reading commentaries of the Fathers and in particular St. Thomas's commentary on the epistle. 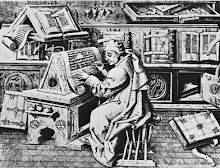 In many ways, the epistle is already an early synthesis of the Faith that the Evangelists witness to, and it offers us the opportunity to explore in depth many theological questions such as grace, justification, the relationship between the Old Covenant and the New, and the salvation of the Jews, to name a few. Besides the daily seminars, there will be a guest lecture by Fr. Cassian Folsom, OSB, the founder and prior of the monastery. The two-week program reaches its climax in an authentic scholastic disputation, moderated by one of the monks. In addition to the academic program, we will, of course, be participating in the daily life of worship (High Mass, Divine Office) of the Benedictine monks who live and pray at the birthplace of SS. Benedict & Scholastica. There will be excursions to Assisi and to Cascia, as well as attendance at the Papal Mass in Rome for the Feast of SS. Peter & Paul at the conclusion of the program. The Gospel Illustrated by Duccio is a unique creation designed to celebrate one of the greatest artistic masterpieces of the high medieval period while also bringing to life the Gospel story with over fifty images of scenes from the lives of Jesus Christ and the Blessed Virgin Mary. The book includes the complete extant cycle of images from the Maesta Altarpiece, which Duccio di Buoninsegna completed in 1311 for the Cathedral of Siena, Italy. The Maesta begins with the Annunciation, Nativity, and other mysteries from the childhood of Christ and continues with scenes from His public ministry, such as the Wedding at Cana, the Healing of the Blind Man, the Transfiguration, the Raising of Lazarus, and many more. It glories in depicting over twenty scenes from the passion of Christ, continues with seven separate resurrection appearances and the descent of the Holy Spirit at Pentecost, before concluding with six extra-Biblical scenes depicting the final days of the Blessed Virgin Mary's life on earth. Each large, full-color image is paired with the text, most of which are drawn directly from the Canonical Gospels, which tells the story illustrated by the painting. One of the extraordinary features of the book is found in the texts corresponding to the final six paintings, which tell the story of the last days of the Blessed Virgin Mary. These are drawn from the non-canonical text of the Transitus Mariae, dating from the fifth century. Although not the inspired Word of God, these texts do reflect ancient Christian traditions concerning the end of Mary's life on earth. Not as well known now as they were in Duccio's time, their discovery will be a delight for modern readers. Here is a snapshot to give you an idea of the contents and layout of the book. On one side, the large, full color image painted by Duccio; on the other, the unabridged Gospel text based on the Challoner revision of the Douay-Rheims. I purchased a copy for my children and they have been fascinated by the pictures - which are far superior to the illustrations generally found in "Children's Bibles". And so they ask me repeatedly to read to them the associated stories. This exposes them at the same time to the life of Christ in the inspired words of the Holy Scriptures and to some of the greatest sacred art in the Catholic tradition. The list price is $15.49, but it is currently available on Amazon for only $10.76. I believe that it will also be available soon in the Unam Sanctam Catholicam Bookstore. And stay tuned for the forthcoming companion volume entitled The History of the Saviour Illustrated by Giotto. “But we by the mention of Christ crucified put all demons to flight, whom you fear as if they were gods. Where the sign of the Cross is , magic is weak and witchcraft has no strength. It is a very important thing for Christians not to forget that we do not have a monopoly on the spiritual world. People do not pray to idols, perform strange rituals or offer direct worship to false gods because they do not get anything out of it; they just don’t get anything good out of it. Illusions, false consolation, spirits of lust, pride, worldly power or any of the thing that the prince of the world can offer is often times enough for people to sign up their name on the dotted line to become a full blown practicing pagan or devil worshiper. It appears that many people are signing up. The US Air force academy built a Pagan worship circle somewhat recently The “Church of England” wants to paganize things up a little bit and not convert the pagans, but allow the pagans to convert the "church of England" . And I could provide examples from my own life of the growth of paganism. Next to the University of Riverside, CA there is a large witchcraft store that not only sells wares for all your pagan needs, but teaches both in-store and online classes on how to practice magic. On Meetup.com there are 3 (2 relatively large) groups for pagan meetups within 5 minutes of riverside and only 2 for the Bible (and of those two one is for singles and the other is for homeschoolers and they are much smaller than the 2 largest pagan groups). According to some Poll numbers there are now over 1 million pagans in the US Based on the most recent survey by the Pew Forum on religion, there are over one million Pagans estimated to be living in the United States. Step back for a minute and consider how many devout Catholics there are in America? Yet we know that wherever the Kingdom of God is idols lose their strength, demons are cast out, sorcery is confounded and the such like and the weakness of demons is truly revealed, so how can their be this growth and what does the spread of paganism say about the state of Christianity? For one it says that there is a lack of saints. Luke 17:20 tells us that the Kingdom of Heaven is within us. The incarnation of God as Man and us becoming adopted children of God has made even our very breath a means of expelling demons. The very mention of the Holy Name of our Lord Jesus Christ, (which can only be done by the Spirit) demands immediate reverence and respect from every being. There is more to the anti-Christianity of the pagan world than an irritation with the superficiality of so much that is presented as Christian. Our Holy Religion is the most consistent, reasonable and logical religion but yet, without a living faith preceding its manifestation throughout society it will fail to win converts through persuasion. It will fail to break through the strangle holds of the works of the flesh made manifest. “But when, as my fine fellow proceeded in the rites, the frightful things assailed him, unearthly noises, as they say, and unpleasant odors, and fiery apparitions, and other fables and nonsense of the sort, being terror-struck at the novelty (for he was yet a novice in these matters), he flies for help to the Cross, his old remedy, and makes the sign thereof against his terrors, and makes an ally of Him whom he persecuted. And what follows is yet more horrible. The Seal prevailed: the demons are worsted, the terrors are allayed. And then what follows? The wickedness revives, he takes courage again; the attempt is repeated, the same terrors return; again the sign of the Cross, and the vanishing demons; the neophyte in despair.” St Gregory Nazianzens Section 55-56 First Invective against Julian the Apostate. Notice here that Julian the Apostate who is being initiated into diabolic rites having already turned his back on his Christian faith, makes a sign of the Cross out of habit when in fear at the manifestation of a demon, and the demon is immediately put to flight. There is very little doubt that Julian at this stage is not in friendship with God, and yet a little sign of the cross still confounds the demons. Imagine the power that the Sign of the Cross has from a faithful Christian! My friends, there is a reason why certain policies wish to forbid the wearing of Catholic sacramentals at work, ban the mentioning of the Holy Name of Jesus, strip crucifixes out of every building and why the devil assails weak Christians to not make visible signs of the cross when among other companions. God, through these Holy gifts confounds the demons and confuses their plots and wickedness. Consider the great promises just to families who enthrone the Sacred Heart of Jesus? Be assured that when God allows himself to become dethroned visibly by the taking down of Signs of Faith, by the passing of obscene and evil laws, or the persecution of the faithful that he is making manifest that protections and blessings are being removed. So what is the state of Christianity with the rise of paganism? My dear friends, it is better already if you resolve today to live an authentic Catholic life and do all that you can within your authority to honor God. Enthrone the Sacred Heart in your house, wear a crucifix in public, make bold signs of the Cross everywhere and constantly say the Holy Name of Jesus with great reverence. The Pagan world did not stand a chance against the power of God that was with the 12 apostles, so let God arise and let his enemies be scattered! Today is the 50th anniversary of the death of Fr. Reginald Garrigou-LaGrange, OP, who was perhaps the greatest theologian of the 20th century. 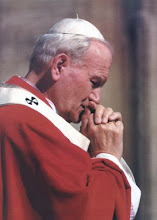 While he is known for many things, the least of which includes directing the doctoral work of Karol Wojtyla, two of his lasting contributions to 20th century theology are his synthesis of systematic theology with spiritual theology and also his vehement defense of the scholastic tradition against modernity. Regarding the first, Fr. Garrigou-LaGrange undertook the synthesis of Thomistic theology with the spiritual works of St. John of the Cross, showing how the two were in fact complementary. His most well-known spiritual work is entitled The Three Ages of the Interior Life, and can be found online in its entirety. He is perhaps more well-known for the second of the two, his defense of the scholastic tradition against modernity. 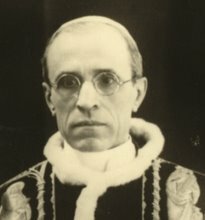 He is alleged to have ghost-written Pope Pius XII's great encyclical Humani generis, "Concerning Some False Opinions Threatening to Undermine the Foundations of Catholic Doctrine". Fr. Garrigou-LaGrange also gives a clear, concise, and very readable treatise against the Nouvelle Theologie in his famous essay, "Where is the New Theology Leading Us?" His book, Reality: A Synthesis of Thomistic Thought, is perhaps one of the best introductions to theology in existence, apart from the Summa itself. While his intellectual merit is beyond dispute, Fr. Garrigou-LaGrange also lived what he taught. Asceticism was not merely an intellectual pursuit, but a way of life, the way of holiness for a humble Dominican friar. 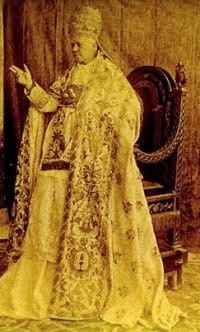 Perhaps today, then, we can ask for the intercession of Sts. Dominic and Thomas for the raising of this holy man to the altar of our Lord. For more information on Fr. 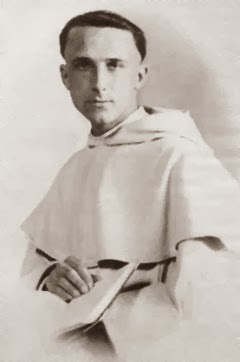 Reginald Garrigou-LaGrange, please see the biography written by Fr. Thomas Crean, O.P. to be found here. 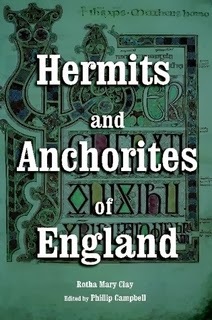 New Book: "Hermits & Anchorites of England"
Often when we think of the hermits, we think of the very first centuries of Christendom, of men like St. Anthony of Egypt or St. Simeon Stylites who spent decades in solitude seeking God's face in the empty places of the earth. But usually our thought of the hermits ends there, for with the organization of monastic communities around Rules, such as those of St. Benedict and St. Basil, does not the age of the hermits end and the age of the monasteries begin? In fact it did not. While monasticism became the dominant manner of asceticism, at least in the west, there always remained an eremetic strain, albeit a minority. Medieval Europe never lacked for hermits, dwelling in the caves of France or on the rocky isles of the Irish Sea, sanctifying the world by their presence and offering unceasing prayer to God. Medieval England had a particularly rich eremitic tradition, one that began with the great hermits of the Anglo-Saxon and Irish tradition and continued right up until the eve of the Anglican revolution. This long tradition is documented in the newest addition to the Unam Sanctam Catholicam bookstore, a new edition of the classic 1914 work Hermits and Anchorites of England by English medievalist Rotha Mary Clay. Biographies of medieval hermits are not easy to pin down. We know of them mainly through anecdotes in other historical works, occasional hagiographies of the exceptionally saintly, depictions in manuscripts, and finally through the dark caves and desolate peaks they inhabited that still survive. 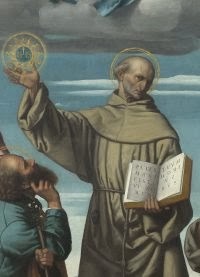 The lives of evangelical monks such as St. Columba or St. Dominic are well attested, while the annual events of the monasteries are preserved in the various monastic annals that still survive. But the hermits did not go out into the highways and byways seeking converts, nor did they have disciples to record their deeds. Their lives are cloaked in obscurity. The very hiddeness of the eremitic life means it is difficult to document. A hermit, by definition, is one who tries to avoid the attention of the world, and this includes historians. This difficulty is especially acute in the case of England where, besides the typical difficulties faced by historians, we are also confronted with the rupture occasioned by the Protestant Reformation. The 14th and 15th centuries were particularly fruitful eras in the history of English Catholic spirituality; on the eve of the Reformation the English wilderness was dotted with men and women seeking holiness through the eremitic life. But beginning in 1536, the now-Protestant English crown pursued a policy of suppression of monasticism throughout the kingdom; the tragic history of the dissolution of the monasteries is well known. 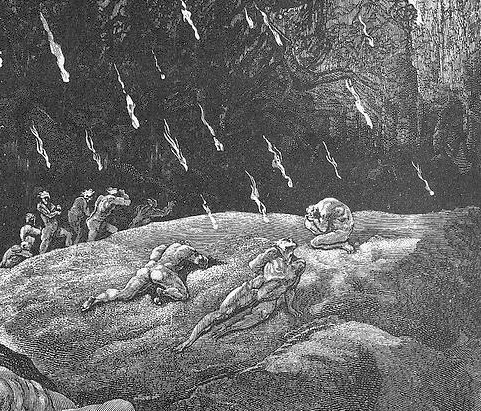 What is less well known is that the hermits of England were subject to similar attacks during the same period, being forced out of their solitary abodes and onto public pensions. Not content to suppress and plunder the monasteries, Henry VIII and his successors could not tolerate that even one solitary hermit remained in the fens and rocks of the kingdom praising God alone in his cell. Thus, a rich English tradition was destroyed and the English eremitic age seems like a distant dream. It is here that Mary Rotha Clay’s book is so valuable. Drawing on land titles, legal records, primary sources such as the 13th century Ancrene Riwle (“Guide for Anchoresses”), and even archaeological remains, Ms. Clay is able to reconstruct a vivid picture of the eremitical life in Merrie Old England. We are introduced to characters such as Kenyth of Glanmorgan, a Welsh hermit who lived exposed to the rain and wind on a promontory jutting into the Irish Sea; David Welkes, a 15th century hermit of Dover who won the esteem of King Henry V; Celestria, an enclosed anchoress of Gloucester, and many more men and women who served God in solitude from the days of Hengist and Horsa right up until the eve of the Reformation, when the agents of Cromwell drove them out of hiding and made them pensioners of the Crown. Hermits and Anchorites of England is particularly noteworthy for its abundance of illustrations depicting the caves and dwellings of these hermit folk. Most of these descriptions were collected by Ms. Clay herself during her extensive travels throughout England researching the work. Rotha Mary Clay was born on 17 August 1878. She was of the minor nobility, a sort of hermit herself, remaining unmarried her entire life and devoting herself to scholarly pursuits . She was attained the honorary degree of Master of Arts (M.A.) by Bristol University and soon after published exhaustive study of England’s medieval hospitals (1909) that is still valued by historians today. Hermits and Anchorites of England (1914) gives us an example of Ms. Clay’s work in her prime. Reading her voluminous compendium of land titles, pensions and archaeological sketches, one is astounded by the level of research that went into this book – and in an era when the only way to see a ruin or examine a parchment was to take a horse drawn carriage out to inspect them in person! It is indeed unfortunate that Ms. Clay did not publish more, though we are thankful for what she did. It is our hope that this reprint of Ms. Clay’s classic work will inspire in the reader a greater love for England’s medieval Catholic heritage, enkindle a deeper understanding of the eremitic vocation, and hasten the return of the day when our culture is again seasoned with the presence of Catholic hermits offering their prayers and their very lives to God in the solitary places of the earth. Many reproductions of older books are done using optical character recognition software (OCR), which works by simply scanning pages and attempting to use artificial intelligence to translate the characters on the page into a particular font. It is a sloppy method which often leaves pages missing, pictures omitted, and other characters in the text blurred, mixed up or missing. This is not an OCR reproduction; it is an actual new edition of Ms. Clay's work, fourteen months in the making, edited by hand with a new introduction. As far as we know, this is the only print edition of Ms. Clay's work that is not a digitized OCR reproduction. Or, you can purchase it, along with other original , independent Catholic books, from the Unam Sanctam Catholicam web store, here. It seems to have become like an echo that continues to reverberate throughout the Catholic world in recent times “Know your faith” or “We have to study our faith”. 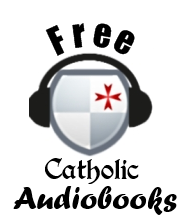 In my limited experience of going about to Catholic gatherings or listening to recordings of various conferences and homilies, it is normally one of the primary solutions presented to the crisis in the Church proposed to the faithful. The exhortation to come to know one’s faith is a good one. Faith most certainly comes from hearing Romans 10:17 and all scripture is useful for teaching 2 Tim 3:16:17. But just like prayers can be said out of self love or out of a desire to be seen, fasting for vanity, and almsgiving for human respect, study of the faith can become an occasion for curiosity, a source of pride, a distraction from duty, a departure from the cross. Like any good thing, it must be subjected to reason, and it must have some specific end in mind. “Leave curious questions. Study such matters as bring thee sorrow for sin rather than amusement.” The Imitation of Christ, Chapter 20 Of the love of solitude and silence. It is fair to say that it does a man no good to memorize all the scriptures, or have an encyclopedic knowledge of the Catechism when he offends God by his life by breaking the commandments. We shall know if our study is motivated from the desire to please God if it is done with the mind of conquering sin, growing in virtue, the defense of His honor, or the perfecting of a good work. No matter what one does - apologetics, teaching catechism, instructing home-schooled children, or just being a good neighbor - this is the means of study that gives glory to God's kingdom and draws others to Christ our King. So let us not run to study to find excuses to break commandments, avoiding dry prayer, enduring hunger and or suffering deprivation. “So let us daily abide firm in our discipline, knowing that if we are careless for a single day the Lord will not pardon us, for the sake of the past, but will be wrath against us for our neglect.” St Anthony of the Desert. "Return, O' ye revolting children!" "They have set up kings, but not by me; they have made princes, but without my knowledge" (Hos. 8:4). "They have broken my covenant and transgressed my law...Israel has spurned the good; the enemy shall pursue him" (Hos. 8:1,3). Because they have rejected God, they have bad rulers. These two things go together. The people get the ruler's they deserve, and if they get bad rulers, it is part of God's just punishments. There is a certain justice in this, as well. Since in rebelling against God, a person casts off spiritual authority, one punishment for this sin is to be oppressed by temporal authority. This is why historically, the most anti-Christian regimes have also been the most corrupt and oppressive to their populations. "Israel has spurned the good; the enemy shall pursue him." "Disaster comes upon disaster, rumor upon rumor; they seek a vision from the prophet, but the law perishes from the priest, and counsel from the elders. The king mourns, the prince is wrapped in despair, and the hands of the people of the land are palsied by terror. According to their way I will do to them, and according to their own judgments I will judge them; and they shall know that I am the Lord" (Ezk. 7:26-27). God's judgments are given to that "they shall know that I am the Lord"; what else can be inferred other than that the reason for the judgments are precisely because we do not know that He is the Lord? 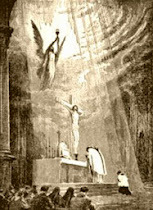 Because we have not acknowledged Him in our ways, because, in the words of Pius XI, we have neglected the "public duty of reverence and obedience to the rule of Christ" (Quas Primas, 18). Our society has rejected God, and therefore God rejects our society. "Let no one contend, and let no one accuse; for with you is my contention, O' priest. You shall stumble by day, and the prophet shall also stumble by night...My people perish for lack of knowledge; because you have rejected knowledge, therefore I reject you from being a priest to me. And since you have forgotten God, I also will forget your children" (Hos. 4:4-6). "And now O' priests, this command is for you. If you will not listen, if you will not lay it to heart to give glory to my name, says the Lord of Hosts, then I will send the curse upon you, and I will curse your blessings. Indeed, I have already cursed them, because you do not lay it to heart" (Mal. 2:1-2). 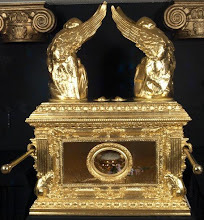 "For he is like a refiner's fire and like fuller's soap; he will sit as a refiner and purifier of silver, and he will purify the sons of Levi [the priesthood] and refine them like gold and silver, till they present right offerings to the Lord." (Mal. 3:2-3). 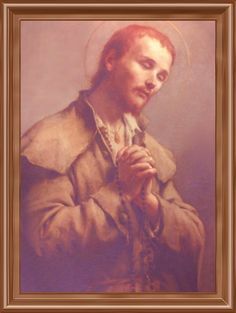 "The most evident mark of God's anger and the most terrible castigation He can inflict upon the world are manifested when He permits His people to fall into the hands of clerics who are priests more in name than in deed, priests who practice the cruelty of ravening wolves rather than the charity and affection of devoted shepherds. Instead of nourishing those committed to their care, they rend and devour them brutally. Instead of leading their people to God, they drag Christian souls into hell in their train. Instead of being the salt of the earth and the light of the world, they are its innocuous poison and its murky darkness. Yes, we get the rulers we deserve. But thankfully, that is not the end of the story. "'Return to me,' declares the LORD Almighty, 'and I will return to you," (Zec. 1:3). 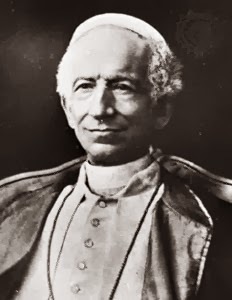 Let us return to Him with all our hearts, praying for our priests, praying fervently for godly vocations, for rulers, spiritual and temporal, who will acknowledge God in all their ways and be men after God's own heart. Let us remember that God's glory must be sought and honored first, above all else - above the opinions of men, above the fads of the age, above one's own desires. 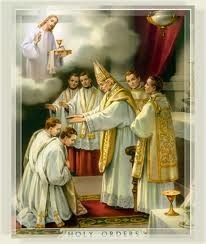 Only when this is the conviction at the heart of the priesthood will this judgment be lifted from us. Dear reader, if you have ever been victim to a heinous crime such as theft, adultery, slander or another deliberate cruelty perhaps you have struggled in your heart to forgive such an act. The injury feels fresh, our enemy who would harm us almost seems to gloat in their evil. But what factors play into our inability to forgive, when the Saints suffered so much and forgave so readily? In my opinion, one of the chief roots of the problem is that we are convinced that we ourselves would never commit an evil act like that. Who would steal from a friend or commit adultery with another person's spouse? It is what gives us confidence when we say with passion that the most heinously wicked (like pedophiles) should be shot or hanged. Perhaps our indignation only really gets going when we see liturgical abuse, and our feelings of piety and righteous zeal become inflamed as we condemn the other and proclaim that we would never perform such and such an irreverent act in the house of God? So I place before you the following considerations for either dealing with forgiving others now or to remember the next time you are grievously offended. Remember always human weaknesses, passions and our disordered appetites. Many people (probably most) do not think that they will commit the sins that they later wind up committing. If you have ever had the misfortune to commit a mortal sin then you are capable of turning your back completely on God; if you have not, then consider the Saints of the Church who at some point lost grace through sin (like King David). You should have pity on fellow men who fall as many times they fall from weakness and not malice. We must identify the real enemy and apply our hatred there. Sin oftentimes is instigated from the suggestion of the author of lies, the serpent, the devil. Do not hesitate to increase your hatred against him. The next thing to consider is that only the grace of God preserves us from falling into sin, whether they be big or small. Grace that inclines a person to do a good act or resist a temptation is called preventive grace, when he is performing a good act it is called concomitant grace and when he has completed it subsequent grace. It is true that our free will must choose to cooperate with His grace, but without His grace we could never choose good, because we would neither feel inclined nor be able to resist evil. We are all capable of falling into the most grievous and outrageous sins. In order for our enemies to be forgiven by God they will have to feel remorse (including for their offenses against you), confess their sin (or be baptized if they have not yet been) and resolve - with the help of God's grace - to never commit those sins again. Repentance from those coming from sin can be quite bitter, and real sorrow is like a sword through the heart; that is the medicine God will demand if they are to be forgiven. Without this, they will surly go to Hell. When we considerable the most holy and terrible vengeance of God, it not only become easy to forgive but also to pray for our enemies, lest they perish in the eternal fires of Hell.